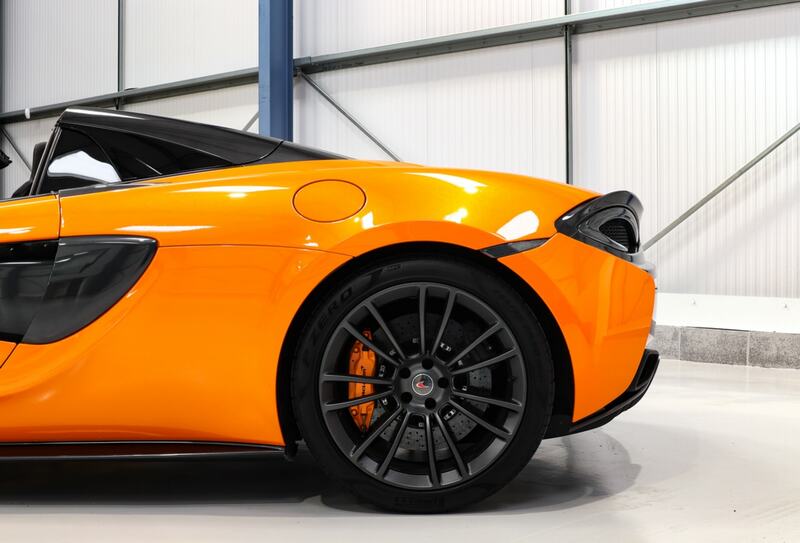 You know you’re in for an addictive driving experience packed with supercar punch the moment you step inside the McLaren 570S Coupé. Incredibly nimble, boasting unrivalled responsiveness plus the highest power to weight ratio in its class, this race-bred performer will give you thrills and take you places on the open road. Exceptionally dynamic and engaging, the McLaren 570S Coupé delivers an entirely driver-centric and purely performance-oriented experience. Behold the 562 bhp, 3.8-litre twin turbo V8 engine as it reaches 0-60 mph in a breathtaking 3.1 seconds, accelerating to 124 mph in a staggering 9.5. The 570S is the most characterful thing, if not perhaps quite the fastest, to come out of Woking — McLaren’s eureka moment. 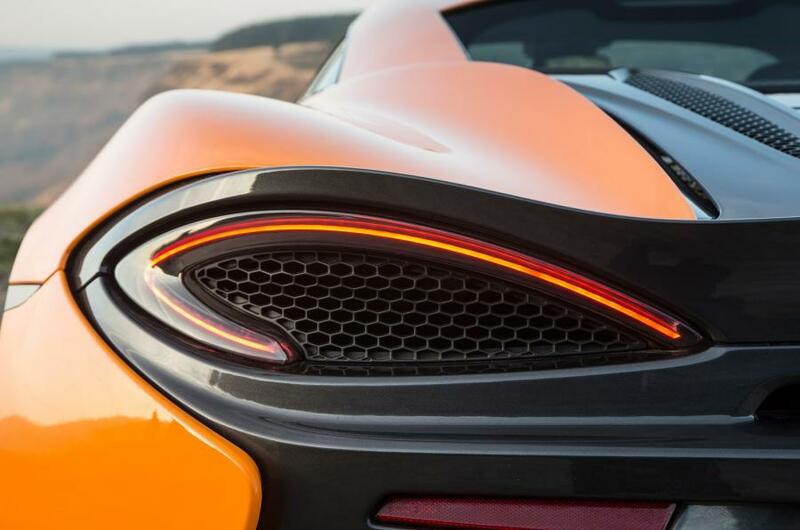 Drawing inspiration from the McLaren P1™ supercar, the futuristic design of the 570S Coupé is seriously set to impress. With a rear open mesh expanse enhanced by dazzling slimline light blade LED tails, plus contoured nose, shrink-wrapped aluminium body panels, dihedral doors and flying rear buttresses, each detail is headed towards aerodynamic perfection with no compromise made on aesthetics. Wrapped in elegance and comfort, the interior architecture of the McLaren 570S Coupé makes for sophisticated driving that’s powered by ultimate technology. Check out the finest hand-stitched leather finishes and satin-chrome accents, and marvel at the unique ‘floating’ instrument cluster console feature that configures in line with adaptive driving modes. 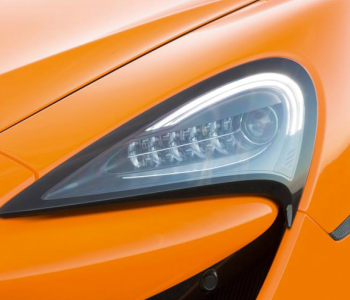 WHAT’S IN THE DNA OF THE MCLAREN 570S COUPÉ? 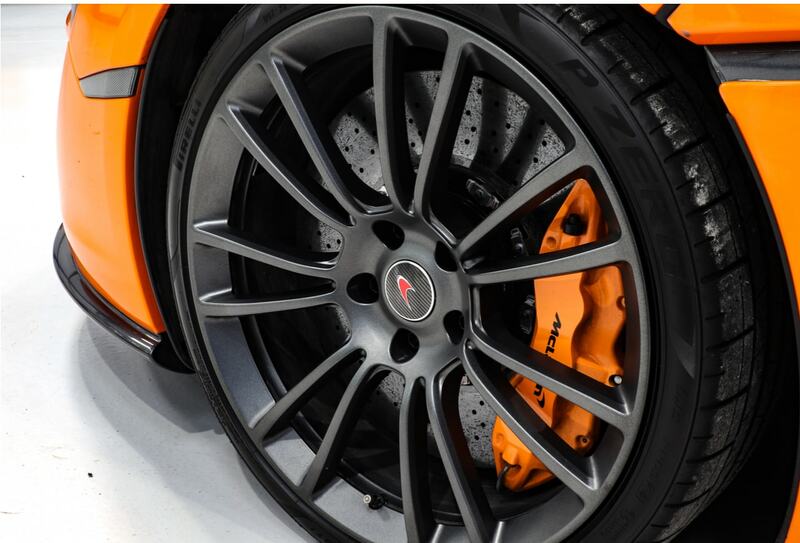 The 570S shares the same McLaren carbon-fibre technology as its Formula 1™ and supercar cousins. 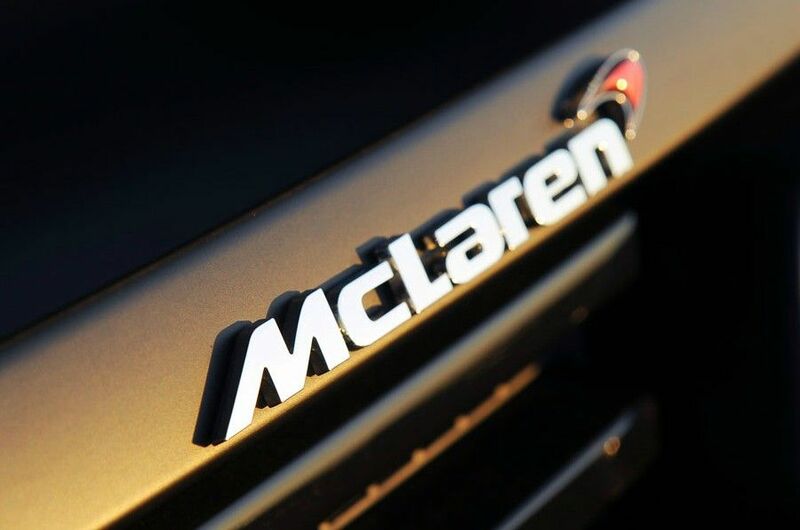 This mechanical force of nature also comes equipped with the McLaren Formula 1™ brake steer innovation, which further enhances safety and peerless agility. 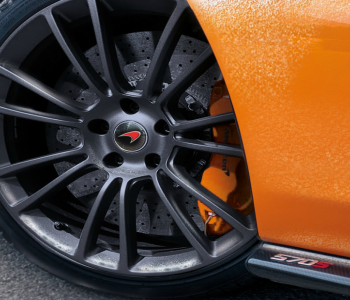 Featuring a louder exhaust sound than the 540C and 570GT, the outstanding performance of the 570S Coupé’s potent growl means it’s out to be seen, and undoubtedly heard. The mid-mounted 3.8-litre V8 engine on this enfant terrible boasts epic twin turbochargers that pump out 562 bhp at 7400 rpm and 443 Ib ft of torque. 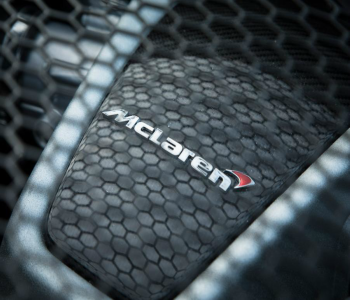 Plus, the lightweight yet incredibly firm carbon-fibre MonoCell II chassis technology results in outstanding dynamics and the best power-to-weight ratio of any sports car in its class. Delivering 60 mph in only 3.1 seconds and 124 mph in a barely believable 9.5 seconds, the all-aluminium twin-turbocharged 3.8-litre V8 is set to fully engage your senses. 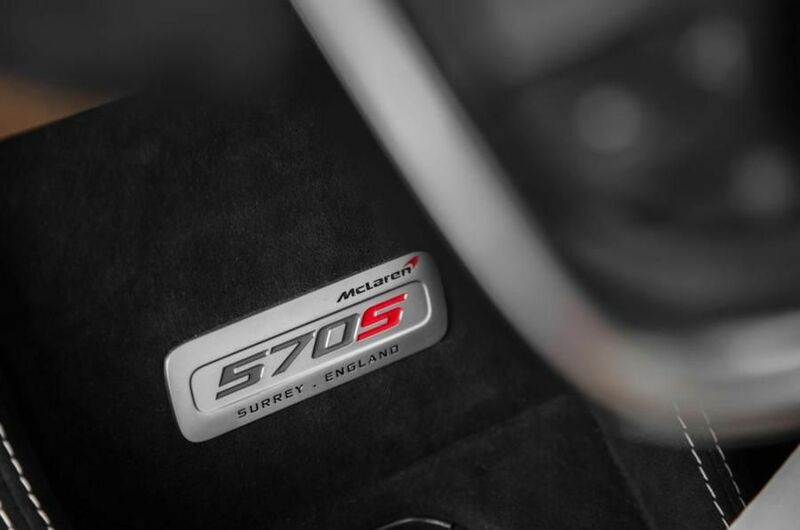 The 570S Coupé’s unbelievably smooth performance is additionally enhanced by a seamless stop-start system which maximises engine efficiency. 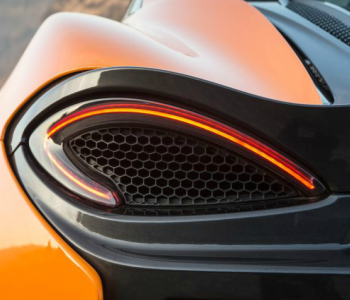 In a league of its own, the 570S Coupé sports car blends elements from its supercar cousin, the McLaren P1™. Among these, the slimline light blade LED rear tail lights and open mesh forge an ultra-sleek, futuristic design, while the Formula 1™ brake steer innovation ensures seamlessly smooth handling and unmatched agility – prioritising safety for peril-free on-the-road fun. Quest for aerodynamic perfection: unlocked. 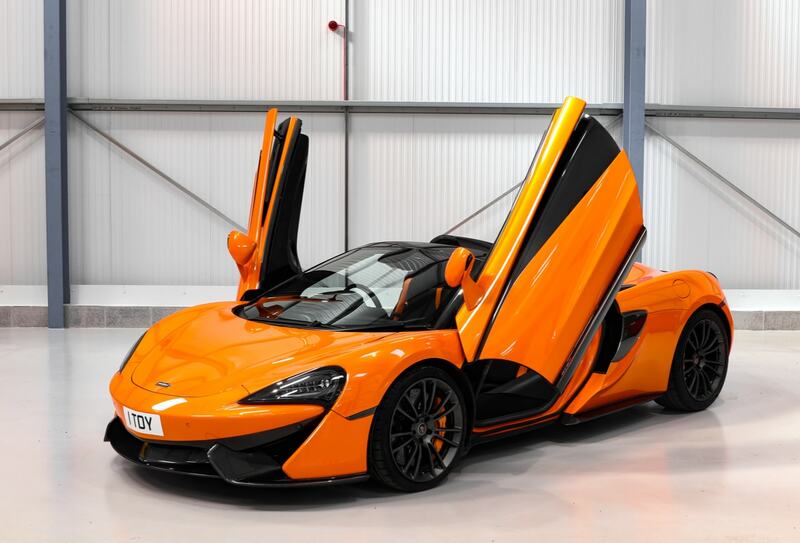 Sporting features such as a lightweight aluminium body panels and wheels, minimalist spoke design, iconic McLaren dihedral doors, and a teardrop-shaped, drag-resistance-reducing cockpit culminating in two striking flying buttresses, the 570S’s athletic appearance gives added aerodynamic agility to rival any supercar. The engine’s mounting behind the cabin affords a remarkably low stance and sleek-lined, contoured nose profile on this Sports Series. This marriage of function and form reduces drag resistance, optimises driver visibility and enhances air cooling through enlarged air intake. Need we mention it also makes the car look incredibly stylish? 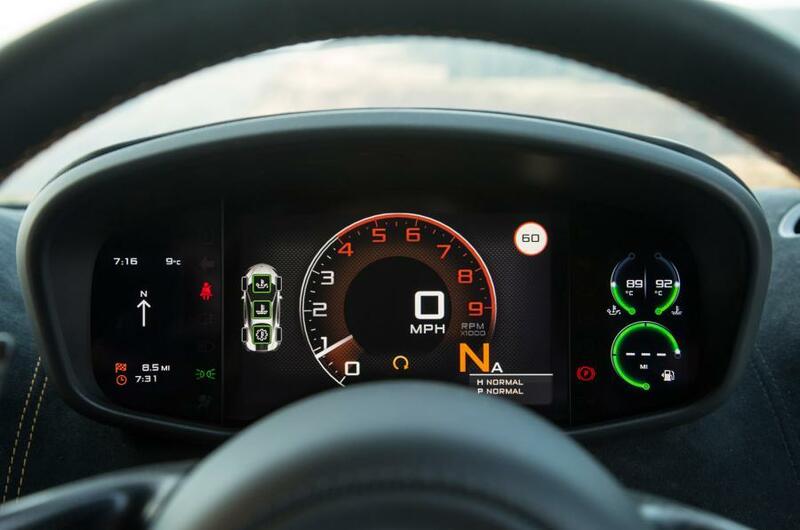 Proving the 570S offers nothing short of an exhilarating driving experience, the IRIS-based McLaren Track Telemetry tracks lap and section times, comparing performance in split-time touchscreen displays. 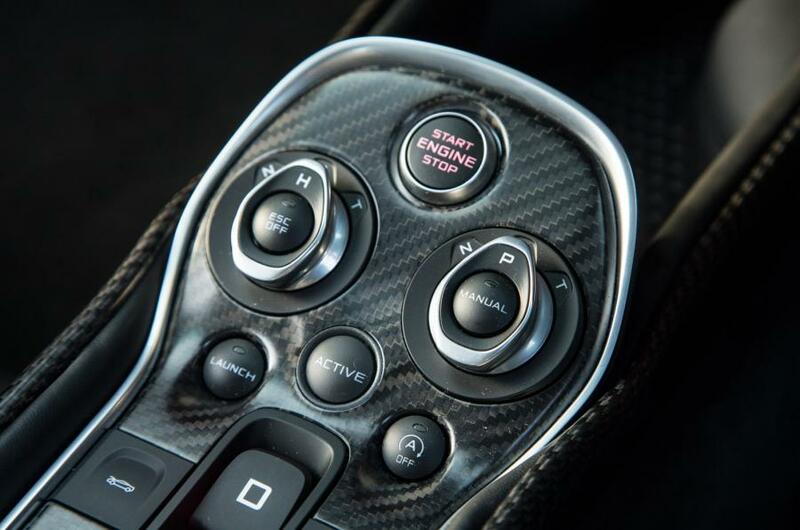 The Active Dynamics Panel also controls adaptive suspension, which can be optimised in Normal, Sport and Track modes. Read fast, faster and fastest results. 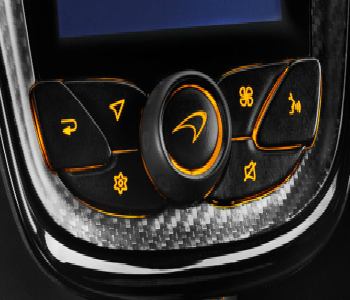 Minimalist centre console, but big on infotainment. 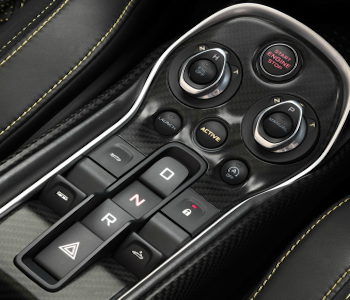 McLaren’s seven-inch intuitive control IRIS touchscreen system offers ease of use with satellite navigation, Bluetooth telephone connection and audio streaming, Wi-Fi tethering, voice activation, integrated apps, DAB or SIRIUS radio, stereo and climate control as standard.